Whether you’re tackling the Kokoda Trail, or discovering the picturesque Tasmanian highlands, you’ll need a serious tent to get you through each night. Made by trusted outdoor brand BlackWolf, the Mantis Ultralight (UL) is the perfect companion for your next hiking, backpacking, or biking adventure. Best suited to the needs of a serious traveller (where a compact, lightweight option is a must), the new BlackWolf Mantis UL tents approximately 30% lighter than their predecessor. The Mantis UL features waterproof taped seams on the floor and fly, keeping you and your belongings dry in wet weather. Perfect for treks, hikes, backpacking, or biking, the Mantis UL is built to withstand rugged and wild terrain. Both models include vents at the head and foot to allow for airflow, along with internal pockets for easy access to the necessities you may need to find quickly during the night. 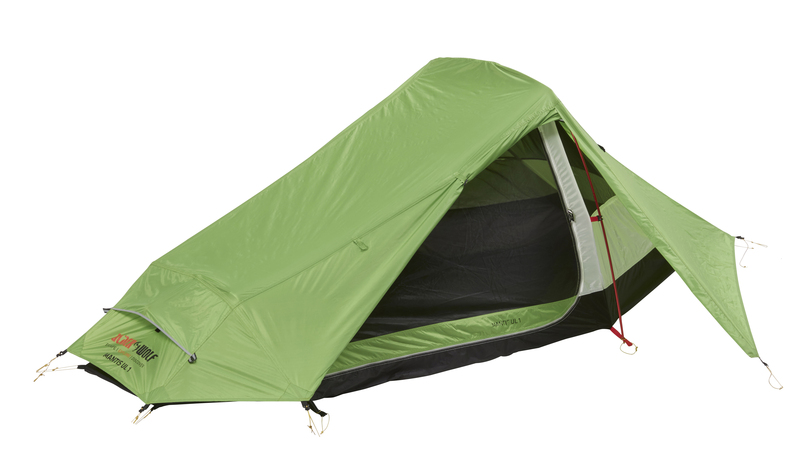 New lightweight cord-lock peg points keep the Mantis in place, and for those sharing a tent, the Mantis UL 2 model has doors and vestibules on both sides, so you never need to disturb your tent-mate. The Mantis UL is available in green, so the only decision left for you to make is now where you are going to travel next!